In Rome, do as the Romans do. Or shall I say, eat where the Romans eat? Whenever I’m traveling and discovering new places, I tend to avoid touristy areas as much as possible. Especially when it comes to restaurants and places to grab food. To experience the real atmosphere and lifestyle of a city, always follow the locals. 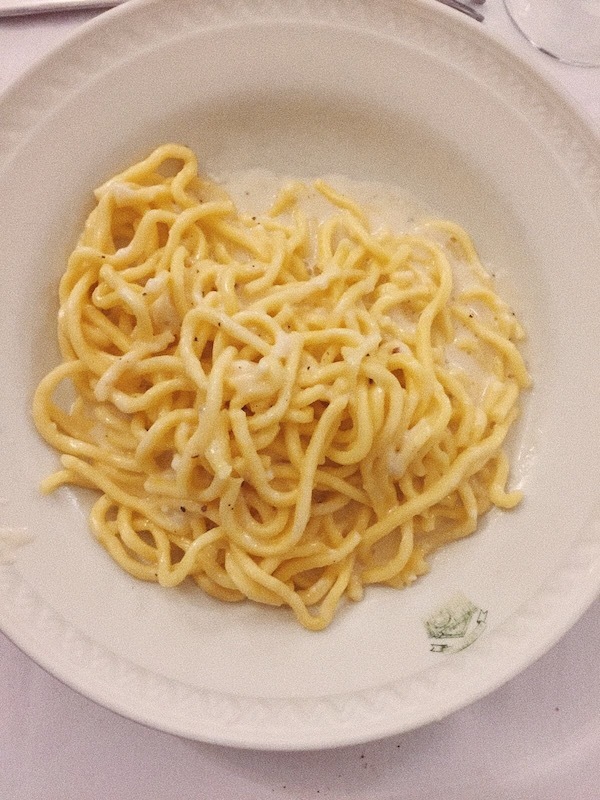 Da Giggetto, in the Jewish district of Rome, is definitely one of those authentic and never disappointing restaurants. The place is overlooking Roman ancient ruins and is located on the Portico d’Ottavia. There, you’ll find famous Italian writers, politicians and busy lawyers savouring the best pasta of all times. 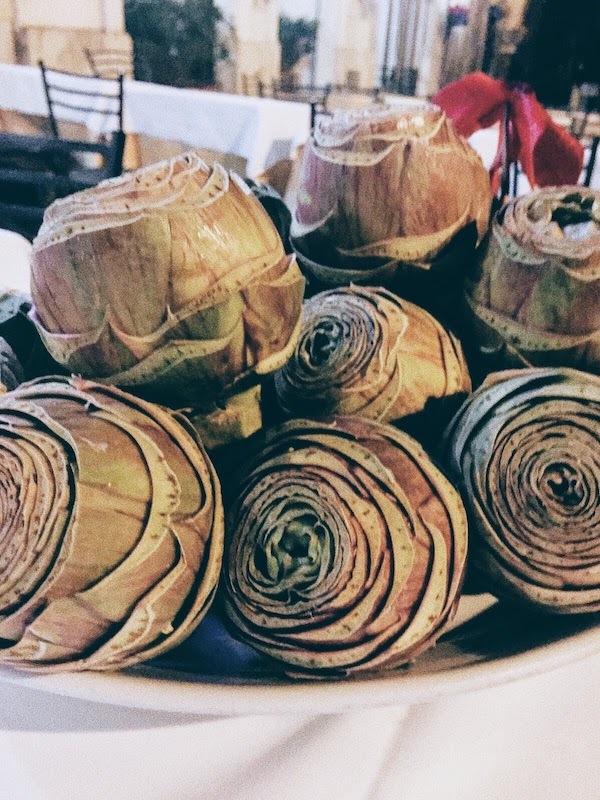 To start, taste their antipasti and make sure to order what this place is known for: the “carciofi alla giuda” – Jewish artichokes. Otherwise, who could ever resist a creamy burrata? Then, you have no choice but to order their absolutely scrumptious spaghetti carbonara. These are, with no doubt, the best carbonara I’ve ever tasted, following the traditional recipe with guanciale (pork cheek) and eggs only! Their cacao e pepe is also a strong asset on their menu! A friendly and humble service, traditional and amazingly tasty food and a very nice location are all the reasons why this place must be on your list!